This Halloween, Jamesons Cult Film Club screened the cult 1999 ‘found footage’ horror The Blair Witch Project, one of the most influential films of its sub-genre, if not the decade as a whole. Daniel Myrick and Eduardo Sánchez’ film documents three student filmmakers on a mission to unearth the mystery of Elly Kedward – AKA ‘The Blair Witch’ – who was banished from her own town of Burkittsville, Maryland (formally known as Blair) under suspicion of practising witchcraft. Naively embarking on their quest through the woods with just a map, compass, tents, minimal food and of course, their cameras, the filmmaking trio (Heather Donahue, Joshua Leonard and Michael C. Williams) keep awaking to find strung-together stick men, piled up rocks and – more chillingly – voices and movement outside their tents, but it’s when Joshua disappears one morning that things take a real turn for the worse. 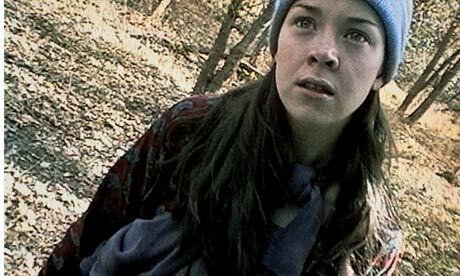 It was interesting experiencing The Blair Witch Project again years after its release, as although it has lost its impact and failed to collectively scare the audience, it still maintains its unsettling tension and moody atmosphere. It is responsible for one of the most famous scenes in horror history, as Heather captures her terrified sobbing from under her face with the camera, which was met with cheers and laughter as the contents of her nose dripped onto the lens. The film may not incite fear anymore, but is certainly remembered fondly by an army of fans. The setting could not have been more perfect – Union Chapel in London’s Highbury and Islington boasts an unusual combination of Victorian gothic architecture with modern fixtures and technology which serves as a highly atmospheric and yet warm and comfortable venue to play host in. As we approached the chapel the organisers (or was it the witch?) had hung stick men from the surrounding trees, and the infamous Father Willis organ could be heard from inside. Three American look-alike actors, braced with a camera and microphone, wandered the chapel and grabbed interviews speculating on the legend with those just looking to collect one of their two free drinks, which was being projected live onto the screen above. It was highly comedic rather than chilling, which was fully intentional, but the strange recreation of one of the film’s arguments followed by a monologue from ‘Heather’ and a screaming, shaking tent was slightly more confusing. I was hoping for a Woman in Black-inspired element to the screening, where the witch herself would wander the aisles and startle unsuspecting viewers, just to create a little more drama, but the film on its own was satisfyingly entertaining. Overall, a fine choice in location and the screening of an unarguable cult classic resulted in a successful and hugely enjoyable evening, which just fell short of creating a truly frightening atmosphere. For more info on the Jameson Cult Film Club, visit jamesoncultfilmclub.com.